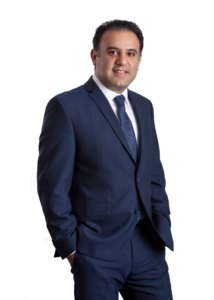 Ali Alamir, CPA has extensive experience in tax and accounting services. His experience includes tax consulting and planning for small to medium size businesses as well as high net worth individuals. He also provides assistance to business owners from choosing the appropriate form of entity to implementing and maintaining accounting systems and software. Ali started his career in public accounting at Moss Adams, LLP in Los Angeles, California with the wealth services department where he provided tax and attestation services to multi-state clients in industries including and not limited to entertainment, manufacturing , retail and distribution, real estate, and medical professionals. In 2009, he joined a local CPA firm in Woodland Hills, California, concentrating in providing full tax, accounting, and business management services to individuals, fiduciaries, corporations, and partnerships. His industry knowledge was expanded to cater to software developers, information technology, restaurants, and food manufacturers throughout Southern California. Ali received his Master of Science in Accountancy from California State University, Los Angeles (CSULA), with honors. He also holds a Bachelor’s Degree in Material Engineering from his native country Iran. He is an active member of the American Institute of Certified Public Accountants (AICPA), California Society of Certified Public Accountants (CalCPA), and CSULA Alumni Association.